At the beginning of every season, each team has at least some kind of chance of eventually making playoffs. 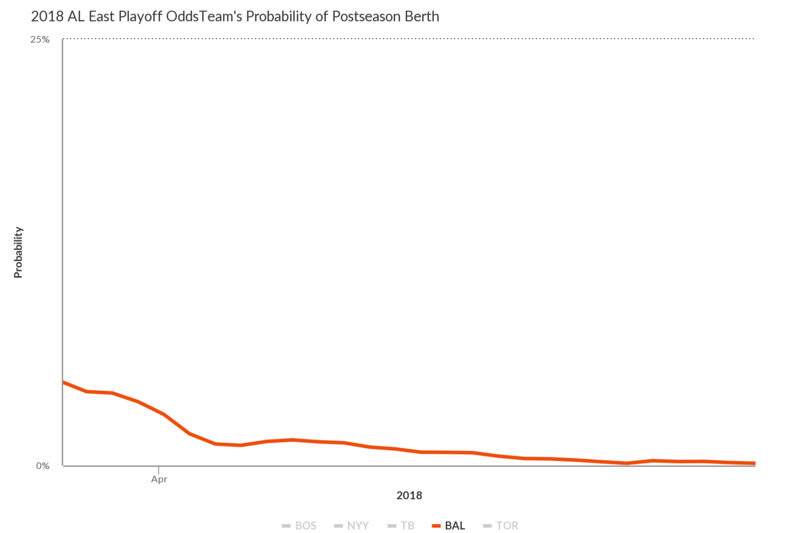 At the start of the present season, for example, the Orioles featured about a 5% probability of making the postseason in some form. Those odds aren’t great. That said, there’s recent precedent for club’s succeeding from that modest starting point. Last season, the Rockies started their campaign with about a 10% shot at October. The Arizona Diamondbacks, meanwhile, were at 8%, while the Minnesota Twins begin with about a 5% probability of reaching the playoffs, just like this season’s Orioles. The Rockies and Diamondbacks got off to hot starts and jumped their chances up to around one-in-three within a few weeks. The Twins hung around .500 for a while. keeping their odds steady for a time. When no other challenger emerged for the second Wild Card, they claimed it almost by default. 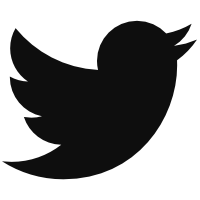 The Orioles, on the other hand, are following a different trajectory. They’ve begun the season 6-17 and have lost whatever margin for error they possessed. And while the calendar hasn’t even flipped to May, it’s likely time for them to look ahead at the long-term health of the club. That means finding the best possible package for superstar Manny Machado. Before we get to Machado, specifically, let’s consider Baltimore’s place in the standings a bit more thoroughly. The Orioles started off this season with a reasonable shot at the playoffs. As noted, however, they’ve gotten off to an awful start. That awful start has already rendered their long-ish playoff odds essentially non-existent. 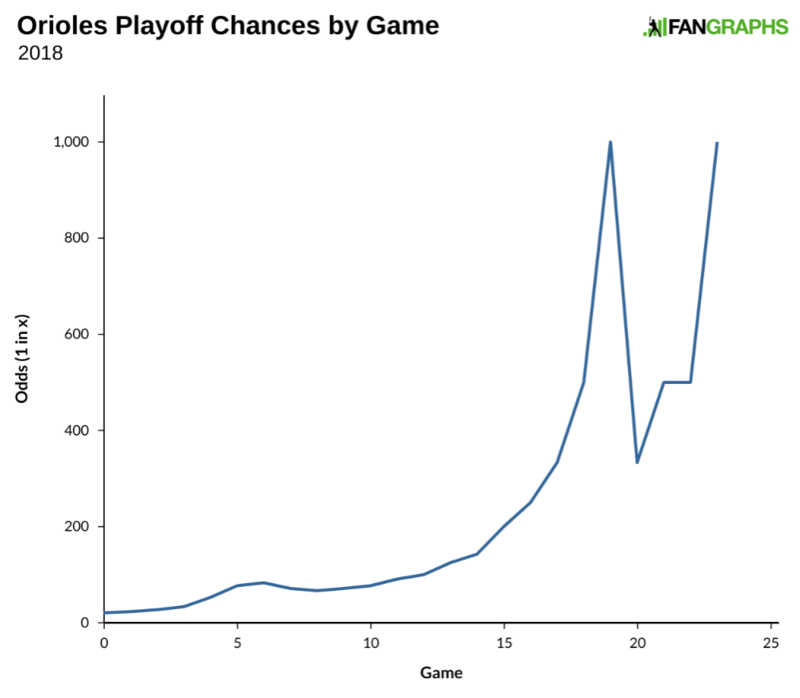 Here’s what their playoff-odds graph looks like since the beginning of the season. It’s possible that graph doesn’t really do the odds justice, so here is another graph showing the odds as their chances of making it to the playoffs. For example, at the beginning of the year, the Orioles had a 5% chance of making the playoffs, which we will say is a 1-in-20. If they had a 2% chance, we’d say that is a 1-in-50 shot. Here’s how the graph has changed since the beginning of the season. The Orioles’ chances of making the playoffs are down to about 1 in 1,000. If you prefer to look at things in terms of wins, you’d find that Baltimore is currently projected to win about 45% of the rest of their games — equivalent to about 63 more victories — to get them up to 69 for the season. Needless to say, that won’t be enough to make the playoffs. We don’t know what is enough for the playoffs, but if we give the AL East to the Red Sox, the Central to Cleveland, and the West to the Astros, that still leaves the Angels, Blue Jays, and Yankees as viable candidates for the Wild Card — with the Twins not too far behind. Given the talent and relatively positive starts from those teams, it seems like 87-89 wins will be necessary to take the second Wild Card spot. That means the Orioles — expected to play like a 74-win team (out of 162) the rest of the way — would need to play like a 94-win team to make the postseason. For the club to win 82 more games and make the playoffs, individual Baltimore players would have to considerably outperforrm their projections. Consider, first, that replacement-level team would be expected to win about 42 of the remaining 139 games this season. That means Orioles players would need to produce about 40 WAR the rest of the way to approach 88 wins. Baltimore’s players, meanwhile, are projected for roughly 26 WAR. If every single Oriole increased his expected output by 50%, the club would still only be expected to reach 87 wins. If Chris Davis hits like he did years ago, the injured Tim Beckham repeats last year, and Dylan Bundy and Kevin Gausman pitch like aces, that gets them only a little past halfway to the improvements needed to contend this season. After acknowledging that the Orioles’ season is functionally over in terms of postseason contention, the logical next step for the club is to sell off short-term contracts in hopes of getting a better return for the future. That means trading Manny Machado. Trading Machado now isn’t necessarily the best idea. Over the years, major trades in April and May are rare. Josh Hamilton was moved a few years back because the Angels wanted to be rid of him and were willing to pay to do so. The biggest early-season trade last year was probably Matt Adams for Juan Yepez. A vast majority of trades occurring well before the deadline are either for cash or a player to be named later. There are good reasons why players of Machado’s caliber are not dealt early on in the year. In July, selling teams often get the best value for their players because buyers become more certain about the value of a win. In April, a hopeful contender isn’t sure if an extra win will do them any good: they might be out of the race by the middle of July or, alternatively, so far ahead of the competition that an extra win or two would help them little. That’s balanced against an early season trade benefiting the buying team more because they receive four or five months’ production from a player as opposed to just two months in a deadline deal. In order to find a match right now, Baltimore would need to find a team (a) almost assured of remaining in contention, (b) almost certain to face a tight race, and (c) in need of help at third base or shortstop. No team is exactly a perfect fit at the moment, but three teams seem most likely to be helped by Machado the most: Arizona, Cleveland, and St. Louis. Both Arizona and Cleveland were involved in rumors of pursuit with Machado in the offseason, while St. Louis was also speculated as a fit. Cleveland might not desperately need help to take the division, but the addition of Machado would allow the club to move Jose Ramirez to second base and put Jason Kipnis in the outfield, providing a significant upgrade for the team. They have the prospects to get it done, and the window of contention is wide open right now. The Diamondbacks are currently starting Nick Ahmed at shortstop, and while the numbers don’t provide the team with great odds to stay ahead of the Dodgers, Machado would make the division race close and put the team in much better position to capture what could be a very hectic Wild Card race. As for the Cardinals, what was true for the Diamondbacks holds true for St. Louis in the NL Central with the Cubs. In Matt Carpenter, Jedd Gyorko, and Kolten Wong, they already have three players for two spots at second and third base — which isn’t even to mention Paul DeJong at shortstop. One of those four players would need to be moved in the deal, perhaps making the Cardinals the least likely destination. It’s perfectly reasonable for the Orioles to hold on to Machado and hope the urgency of the deadline creates multiple suitors or, at least, a single desperate one. The team does run some injury and performance risk by holding onto him, but waiting on the potential for a better deal if there are no suitable offers now is a defensible one. Machado himself is erasing any doubts about his merely average 2017 season with a huge 209 wRC+. The MVP-level Machado is back. The Orioles are already in the midst of a lost season. The logical conclusion of those facts puts Manny Machado in another uniform within the next 100 days. A deal right now isn’t likely, but the time to start receiving offers is already here. We hoped you liked reading A Manny Machado Trade Has Become Inevitable by Craig Edwards! One of the strongest reasons to look at dealing Machado now is that Toronto is still competitive at the moment. Fangraphs gives them 44% playoff odds. While Manny has moved to SS, I have to imagine a lot of teams would look at him as a potential 3B option and Machado holds more value now than he does in a world in which the Blue Jays are also trying to deal Josh Donaldson. Just to be clear, you’re saying Machado at SS and Donaldson at 3B, right (because it wouldn’t make sense to trade for Machado and then trade Donaldson)? mtsw is saying that Machado might have more value now while his market is exclusively him. If the Jays fall out of contention, Donaldson will be on the market as a bit of a cheaper alternative. My bad. I definitely read that for some reason as the JAYS should try to trade for Machado because they have a 44% playoff odds, thus Machado could boost them up more. They’re saying if Toronto does poorly they’ll want to trade Donaldson. Then there will be two elite 3rd baseman available at the trade deadline. I think that Angelos will kill that trade, unless he’s getting Vlad or a bluechip prospect that no ALE team will surrender. If Beltre is healthy and shows signs of performing like he did in 2016-17, then he’s also a high-end 3B rental option who you’d think that the Rangers are motivated to trade. Beltre does have trade approval rights as a 10-5 player, but it’s not hard to see him being willing to go to a contender for one of the last seasons of his career (if not the last).